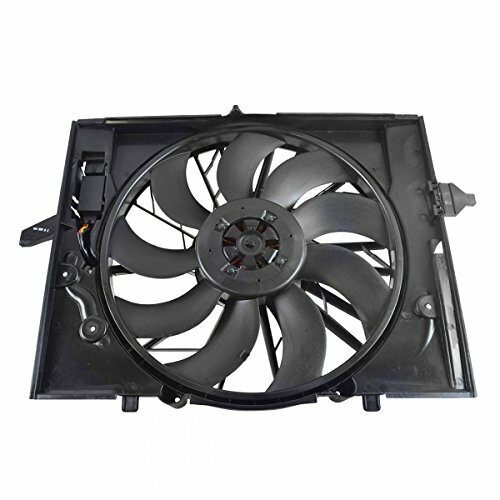 High-quality, lightweight, and durable; great as replacement or upgrade from factory parts. 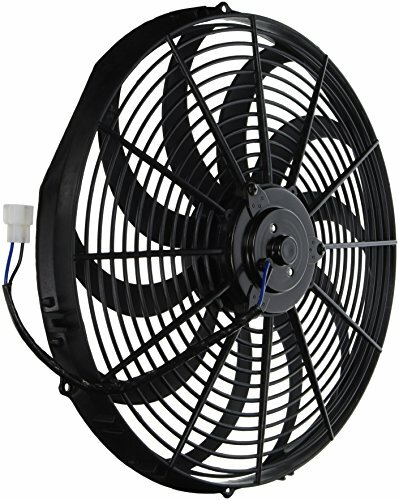 Simple installation, no modifications required.Fan can be used as pusher or puller with the adaptable mounting kit. 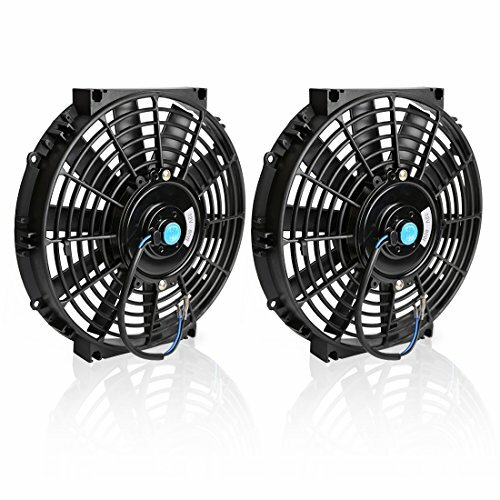 How to choose the correct fan?Step 1:Confirm the width and depth of your radiator Step 2:Compare the fan diameter and depth with radiator Step 3: Choose the right size fan ATTENTION:It can be installed only if the diameter of the fan is smaller than the width of radiator! 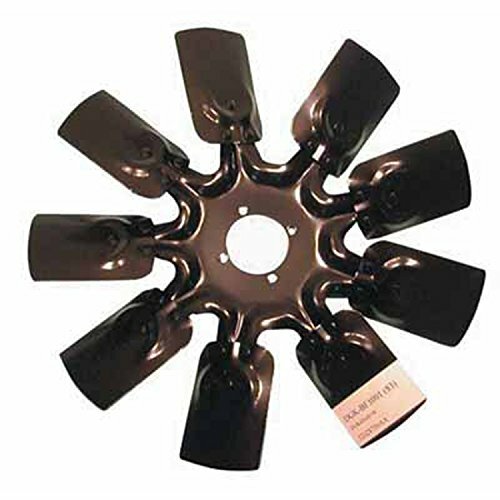 Make sure the depth of the fan is smaller than the gap of radiator and other parts! 2003-2006 Chevrolet Silverado 1500 2003, 2005-2006 Chevrolet Silverado 1500 HD 2003-2004 Chevrolet Silverado 2500 2003-2006 Chevrolet Silverado 2500 HD 2003-2006 Chevrolet Silverado 3500 2003-2006 Chevrolet Suburban 1500 , 2500 2003-2006 Chevrolet Tahoe 2003-2006 Chevrolet Trailblazer , EXT 2003-2006 GMC Envoy , XL 2004-2005 GMC Envoy XUV 2003-2006 GMC Sierra 1500 2003, 2005-2006 GMC Sierra 1500 HD 2003-2004 GMC Sierra 2500 2003-2006 GMC Sierra 2500 HD 2003-2006 GMC Sierra 3500 2003-2006 GMC Yukon , XL 1500 , XL 2500 2003-2006 Isuzu Ascender 2003-2004 Oldsmobile Bravada 2005-2006 Saab 9-7x Package include: 1x Blower Motor Resistor. WARRANTY: 12Months No-Worry Warranty. 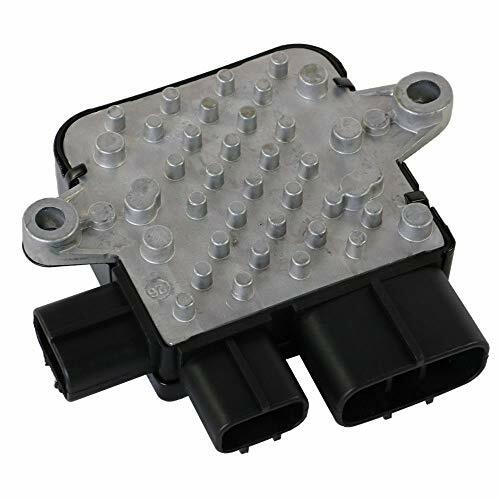 COMPATIBLE VEHICLES This Blower Motor Resistor is for Auto AC Controls, please check the description or use the year/make/model drop down bar and interchangeable part numbers to confirm the compatibility before purchase our this Blower Motor Resistor. 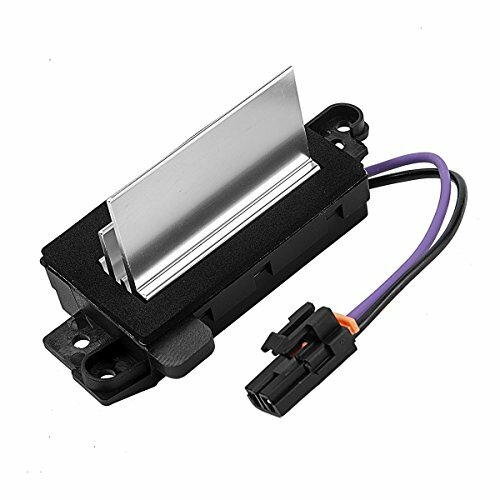 Premium Quality TOP quality HVAC Blower Motor Resistor Module, meets or exceeds OEM standards, Wire Length: approx. 22cm (8.6inch),100% tested before shipping. We only use the highest grade materials to enhance your love car performance. WARRANTY 12 Months No-Worry Warranty. 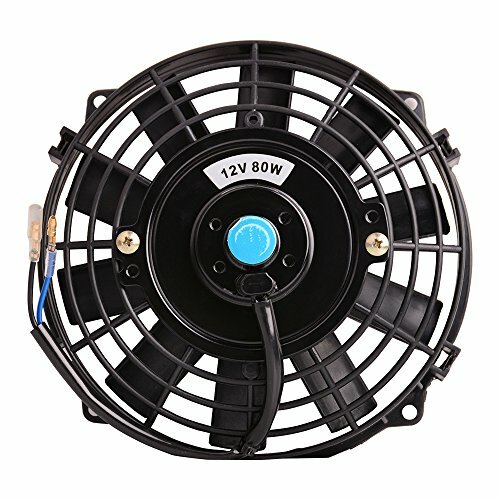 Every product must take inspected and tested multiple times before the shipment, if you get any problems with our this Blower Motor Resistor, please contact us in the first time. 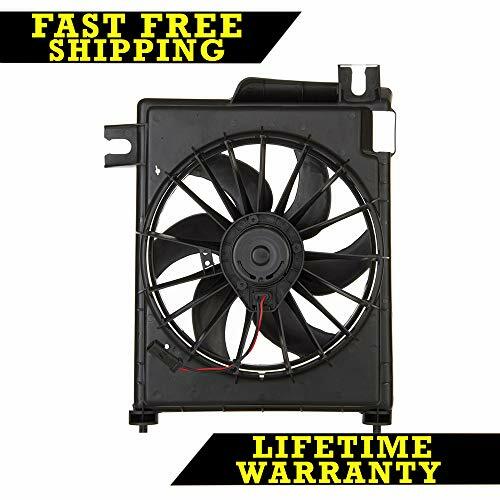 Brand new Universal radiator cooling fan. 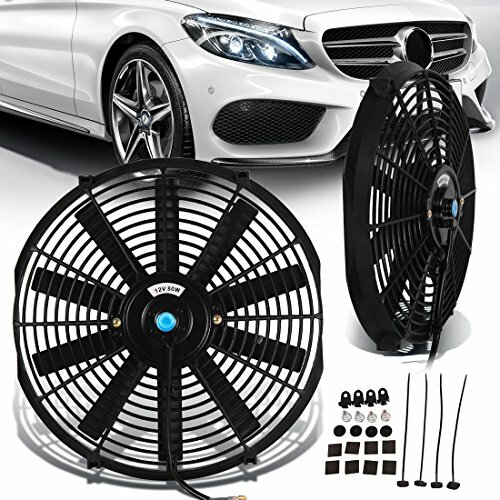 Package includes: 1x cooling fan. Hardware and mounting Kit. 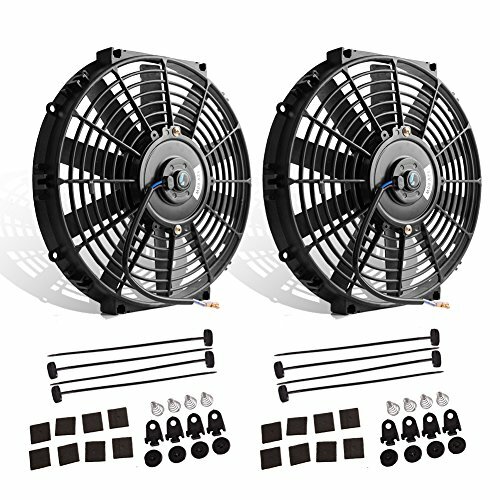 Maximum Fan FAN CFM=800 CFM. Thickness=2.70. 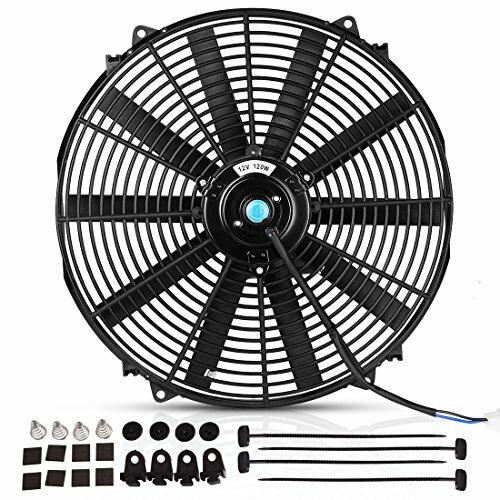 Maximum Fan RPM=2250 RPM. 6 AMP DRAW. 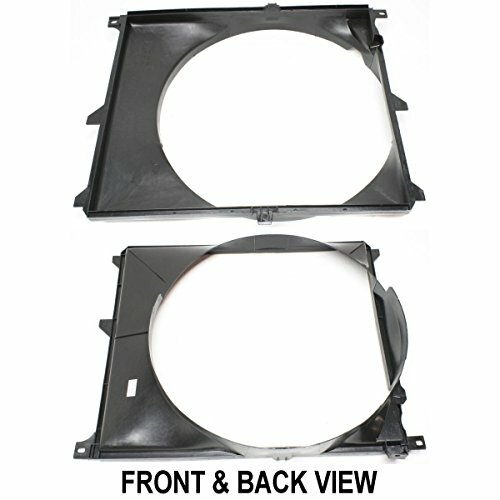 OE Fitment or Replacement, Push or Pull Type. 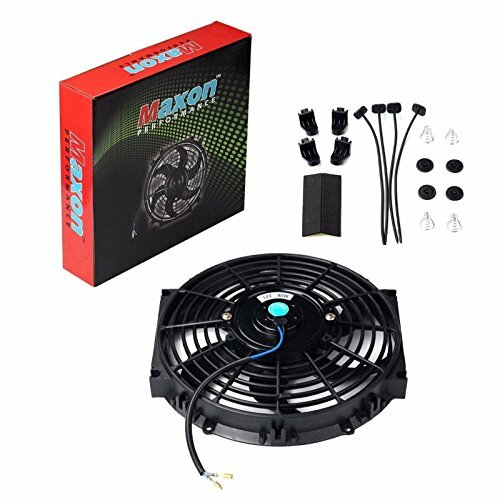 Brand: Maxon Auto Corporation | Manufacturer: Maxon Auto Corp. 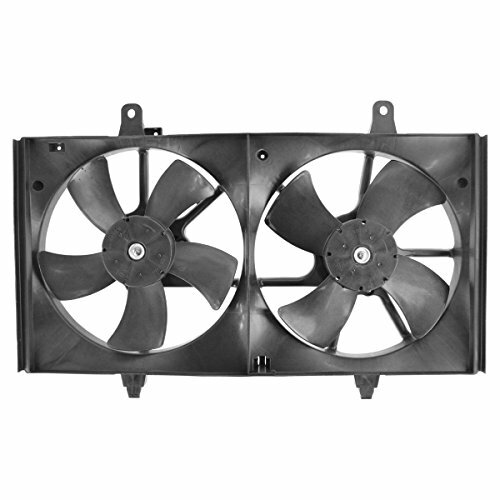 This OE Replacement Radiator Fan Blade is a high-quality replacement item for old or damaged factory unit at an affordable price. 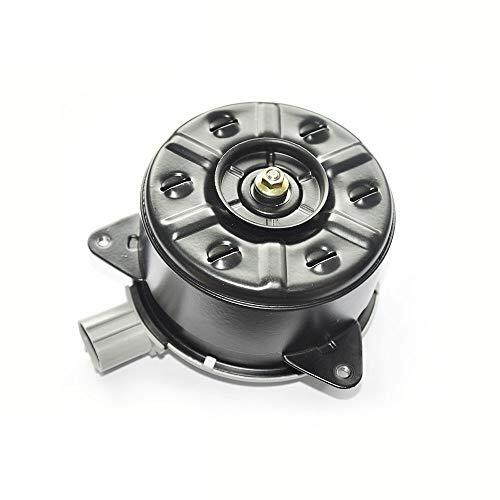 New, not rebuilt, electric motor Fits model with 3.5 Liter engine Geometrically designed plastic blades for optimal circulation and uniform balance Plastic shroud designed to ensure structural integrity and endurance for maximum performance Performance tested Replaces original assemblies that are melted or worn out Comes with proper plug for trouble free installation Now you can buy a high quality cooling fan assembly that is built to strict quality control standards. It is a great replacement and has substantial cost savings over a dealer unit. Simple installation, no modifications required. 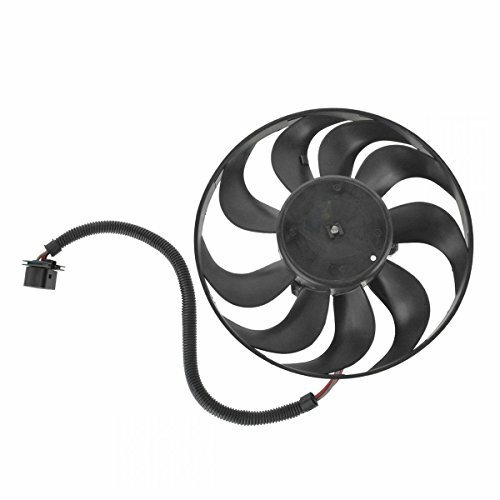 Fan can be used as pusher or puller with the adaptable mounting kit. 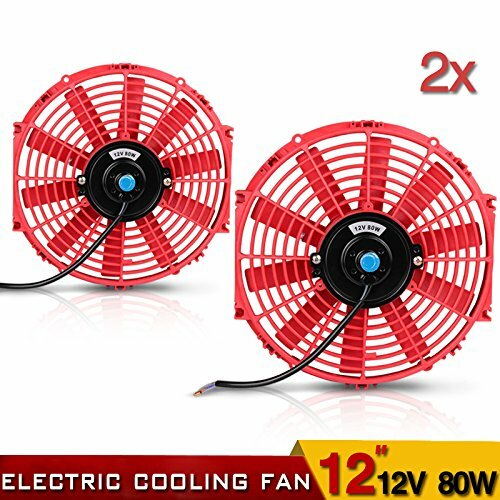 PS:please comfirm all size of the fan before you place order! 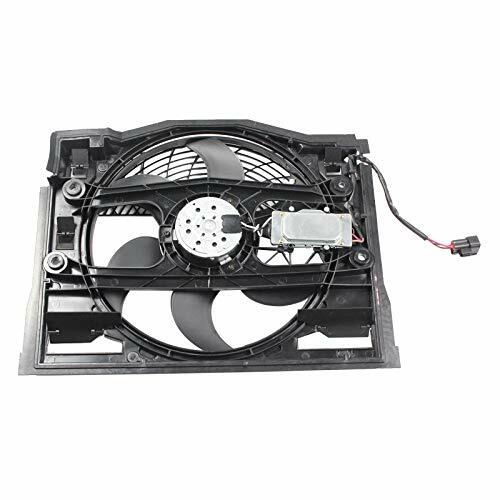 If this part is being installed without a brand new cooling fan motor or assembly, then it is very important to verify your cooling fan motor is not pulling too many amps. 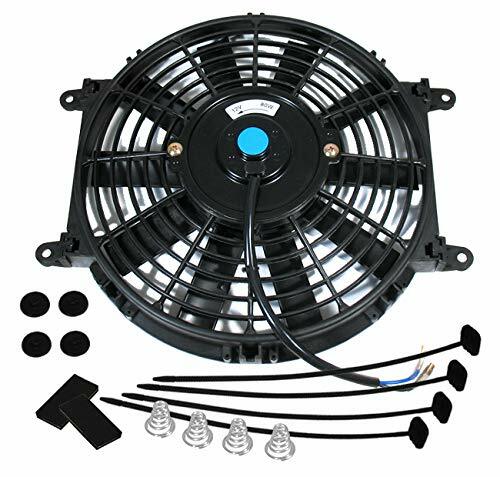 A worn out cooling fan motor can pull too many amps through the control module and can cause repeated failure of this module. 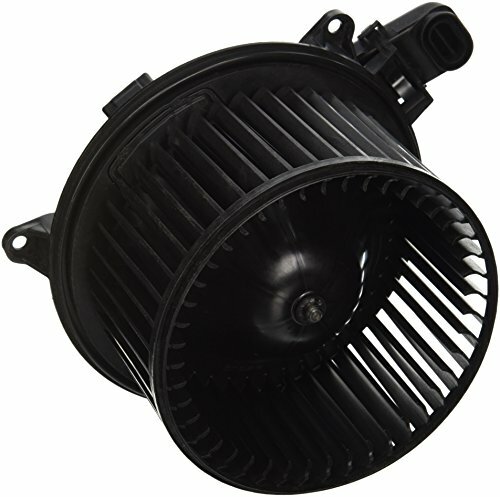 OEM Part Number:1355A124 1355S124 1C232-19700,1355-A124 1355A125 AJY215SC0,1355A053, AJ51-15-15YA,AJY2-15-SC0,1C23219700,MR497751. 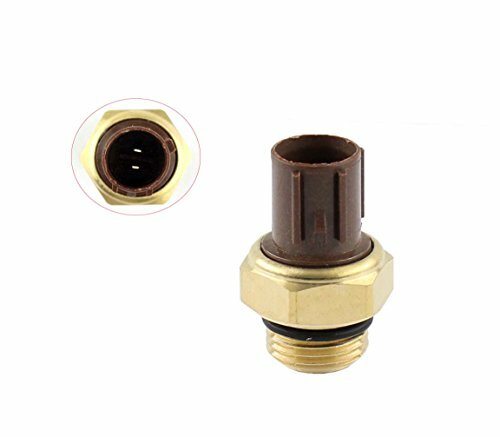 High level of accuracy and sensitivity, enhance safety of your vehicle. 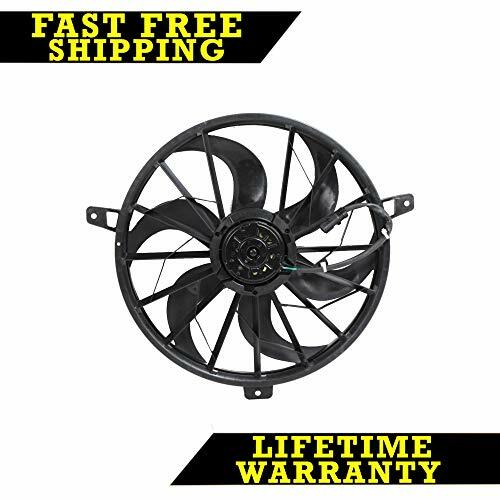 Please check carefully with the part number and pictures before order.If you not sure this item can fits your car, please email us with the year/model/engine,we will here to help you.